Experience a romantic getaway along the shores of Lake Winnipesaukee. Join us for two or more nights in the accommodations of your choice and receive 10% off each night of your stay, package also includes a $75 gift certificate to Canoe Restaurant located just a short walk down the road from the Inn. After dinner, take advantage of a moonlit soak in our four-season, outdoor hot tub overlooking the harbor or just relax on your private deck and enjoy the view of the lake and mountains. 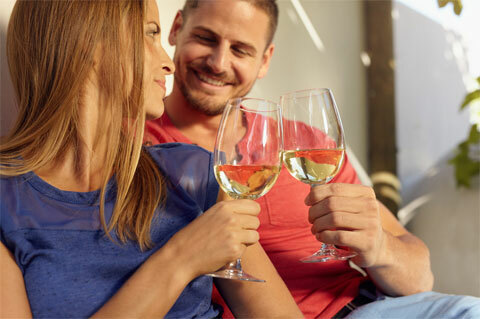 Celebrate an anniversary or just get away with that special someone, our Romantic Getaway is the perfect escape. Package starts at $125.00 per night! Join us at the Center Harbor Inn for Dinner and a Movie! Stay a minimum of one night and enjoy dinner and a movie on us. Enjoy a $50 certificate to Giuseppe’s Pizzeria & Ristorante, located in Meredith, just a short drive from the Inn. Package also includes two adult tickets to the movie of your choice at BarnZ Cinemas, just five minutes up the road in Meredith. While back at the hotel take in views of the lake on your own private deck, or enjoy a soak in our four-season outdoor hot tub overlooking Winnipesaukee. Package starts at $139.00 per night! Join us for three or more nights in the accommodations of your choice and take advantage of 30% off our nightly rate on your visit to Lake Winnipesaukee. This getaway is the perfect option to shake of the winter blues and enjoy the beauty of the Lakes Region. Enjoy our boutique amenities such as a delicious and locally sourced continental breakfast, or relax with a soak in our four-season outdoor hot tub. Package starts at $97.00 per night! You already shop and eat local, so why not stay local? Enjoy a romantic getaway, unwind after the holidays, or hibernate from the winter with us on the shores of Lake Winnipesaukee at the Center Harbor Inn. Just bring a valid proof of ID stating that you live in Belknap County or Moultonborough, NH. Enjoy 50% off our regular guest room rates Sunday–Thursday, and 30% off Friday & Saturday. Amenities include a four-season outdoor hot tub overlooking the lake, with heated walkways! We also offer a delicious continental breakfast that includes locally roasted coffee, and locally sourced bagels. Package starts at $70.00 per night! It’s never too late to treat yourself! Join us at the Center Harbor Inn for two nights and receive 10% off our nightly rate. Enjoy a $50 gift certificate to Canoe Restaurant and a delicious tasting at Hermit Woods Winery. Package also includes a gift certificate to Scissorgy Spa located just down the street offering services such as yoga classes, nail and hair care, massages and more. Once back at the hotel stretch out in our four-season outdoor hot tub with views overlooking beautiful Lake Winnipesaukee. This package is perfect for a romantic couple’s getaway or a girls only retreat looking to escape the city and unwind. Stay with us for a romantic overnight in the accommodations of your choice and receive a $50 certificate to enjoy the charming atmosphere and delicious offerings at Canoe Restaurant and Tavern, walking distance from the Inn. Celebrate an anniversary or engagement with an enchanting dinner followed by a soak in our four-season hot tub overlooking Lake Winnipesaukee. 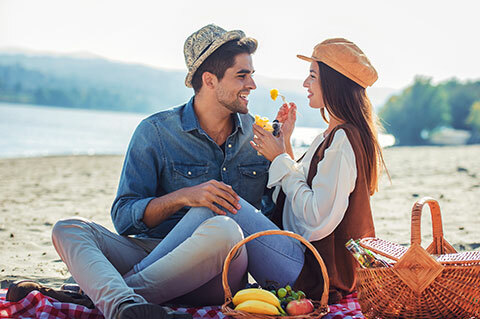 Our Romantic Lakeside Retreat is the perfect way to embrace the season and reconnect with the one you love. Join us for two or more nights in the accommodations of your choice and partake in a delicious tasting at nearby Hermit Woods Winery. Experience a hands-on sampling and select a favorite to enjoy on your private deck at the Inn overlooking beautiful Lake Winnipesaukee. 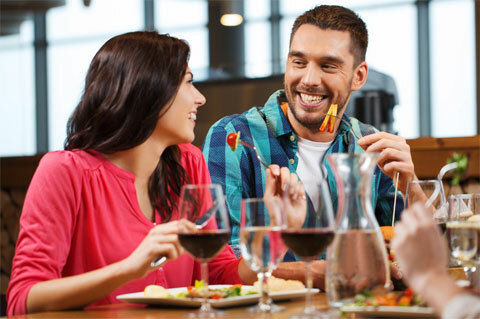 This package includes a $50 gift certificate to Hermit Woods Winery and a two for the price of one voucher good for private tours of the wine making production facility to be used on any Saturday or Sunday. 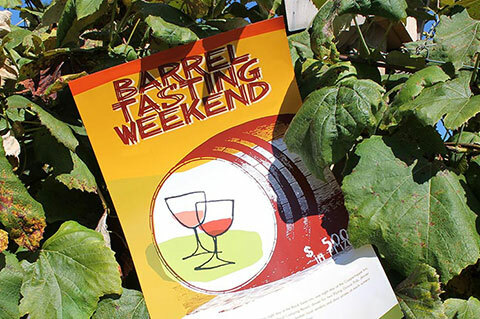 Calling all craft beverage fans, join us in welcoming back the popular Barrel Tasting Weekend taking place May 3 – May 5, 2019. Enjoy two or more nights and receive 10% off the accommodations of your choice, and 2 tickets to the Barrel Tasting event. Admission to the event includes the opportunity to tour production facilities throughout the lakes and mountain regions, sample craft wines, beers and spirits and the chance to win over $5,000 in prizes. 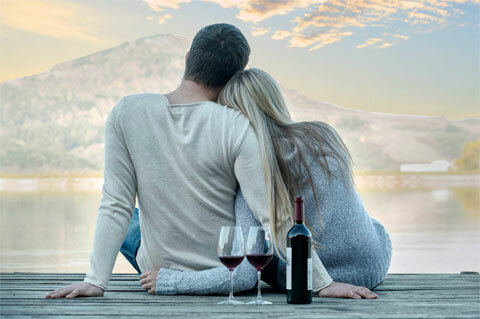 After spending the day touring multiple wineries, bring back some wine of your own to sip on while watching the sunset over the lake on your private balcony then take a moonlit dip in our outdoor hot tub. Package starts at $161.00 per night! Come celebrate the unofficial start of Summer and receive 10% your accommodations for the long weekend. Spend three or more nights with us to relax lakeside while taking advantage of using all of our amenities including the grilling stations and picnic tables for all of your barbecue needs. 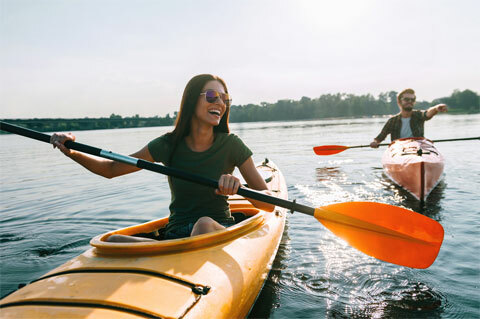 Rent out one of our kayaks or paddleboards to experience lake life first hand, or go out and enjoy all the local offerings of the quaint town of Center Harbor. In the morning, enjoy a delicious continental breakfast that includes locally roasted coffee, and locally sourced bagels. Join us midweek for two or more nights and receive 10% off our nightly rate plus access to hours of fun on the water. For each night of your stay this package includes two half day rentals of one of the hotel’s watercraft. Enjoy a $40 daily value cruising across the water on either a paddle boat, paddle board or kayak from the hotel’s fleet based on availability. After a day of fun, kick back on the beach, bask in the hot tub, roast marshmallows over the fire or cook up some steaks on our grills. This package offers a great value to get the most out of your lakeside retreat. Experience a romantic, high-season getaway along the shores of Lake Winnipesaukee. Join us midweek for two or more nights and receive 15% off the accommodations of your choice. Package includes a $75 gift certificate to Canoe Restaurant located just walking distance from the Inn. For each night of your stay this package includes two half day rentals of one of the hotel's watercraft. Enjoy cruising across the water on either a paddle boat, paddle board or kayak from the hotel's fleet based on availability. After dinner, take advantage of a moonlit soak in our outdoor hot tub overlooking the harbor or just relax on your private deck and enjoy a view of the lake and mountains. Celebrate an anniversary or just get away with that special someone, our Winnipesaukee Romance Package is the perfect escape. Package starts at $152.00 per night!